Lauren Higgs is a 2010 Top Producer for Coldwell Banker Lightbourn Realty. Based in Great Harbour Cay in the Berry Islands, she closed sale after sale on an idyllic island renowned for natural beauty and big game fishing. Lauren works hard to bring clients together to make sales happen. Her lively personality and local knowledge of the island are a winning combination. Originally from Pennsylvania, Lauren is no stranger to the Bahamas. Her family has owned homes on Great Harbour Cay since the 1960s. In 1993, Lauren lived aboard a 41 foot sailboat and traveled extensively throughout the Bahama Islands for three years. She was able to visit almost every island in the archipelago. Lauren graduated from Old Dominion University in 1992 with a Bachelor of Science in Dental Hygiene. 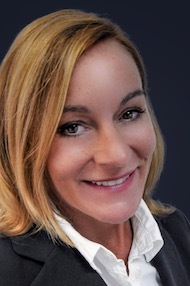 She relocated permanently to Great Harbour Cay in 1997 and began her second career of real estate when she joined Coldwell Banker Lightbourn Realty in 2005.